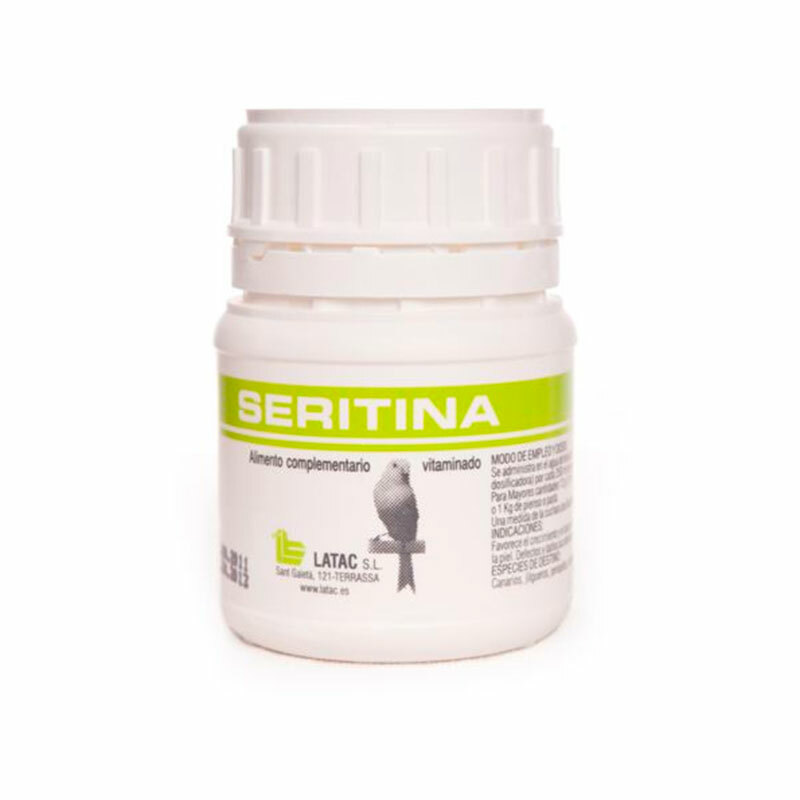 Latac Seritina favors the growth and development of feathers and cartilaginous parts of the bird (nails, beak) and skin. Defects and accidental damage of the plumage. Species of destination: Canaries, parakeets, goldfinches, linnets, nymphs, lovebirds, parrots and pigeons. It is administered in drinking water, pasta or feed in the daily dose of 3 g (3 measures of the measuring spoon) per 250 ml of drinking water or each 250 g of feed or paste. For greater quantities 12 g (12 measures of the measuring spoon) for one liter of drinking water or 1 kg of feed or paste. A measure of the measuring spoon equals 1 gram of SERITINE powder.